One of the things I enjoyed most about this book is how quickly the author gets to a point based on well researched and concise data. No time is wasted while putting economic data to the test of Austrian Business Cycle Theory, and making conclusions that are very precise. 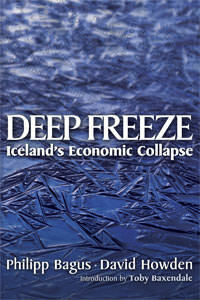 One thing I would have liked to read more about was the international incorrect coverage of the Icelandic crisis. Nevertheless, this is certainly a recommendable book on a very present business cycle crisis.